Tilbury is London’s only deep water cruise port, located 25 miles east on the river Thames from London. The M25 motorway is within easy reach of the port, giving easy access to/and from London. Tilbury Town Train Station, which is on the main London Fenchurch Street to Shoeburyness line is approximately one mile away. Whether you want an overnight accommodation in Tilbury or London, we can always offer you the cheapest deals for cheap, moderate or more luxurious hotels and b&b’s (many with “free” car parking). 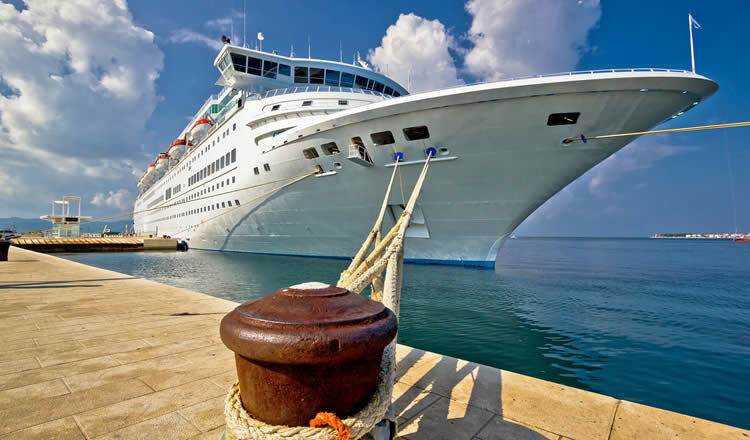 Closest accommodations from the docks, within easy reach of London cruise passenger terminal, are located in the nearby towns of Grays Thurrock and West Thurrock, both located on the north bank of the River Thames and just a short distance away from the port. The towns of Gravesend and Dartford are also nearby, but are located south of the River Thames. You need to cross the Dartford Crossing, one of the busiest estuary crossings in the UK. Vehicles must pay a toll and there can be traffic delays. 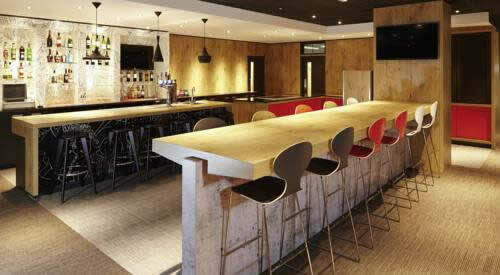 You can also consider a hotel in London near Fenchurch Street station. From here you can reach Tilbury in 45 minutes by train. Cruise & Maritime voyages provides also a coach service departing from Victoria coach station. Staying around Victoria Station is another option. Budget friendly accommodation within close distance of Tilbury cruise docks. 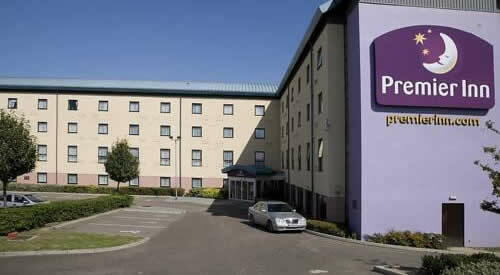 Cheap hotel close to the junction of the A13 and the M25 motorway in Grays Thurrock. Located near the M25 motorway and a few miles from Lakeside shopping centre. Tilbury is a major passenger port for many years. In 1916 P&O was one of the primary cruise lines within the dock complex. Until the 1960s it operated as the main London passenger terminal. It was a port of entry for many immigrants and emmigrants to Australia. Today the Port of Tilbury, part of the Port of London, is Britain’s main port for Paper import, and an important port for bulk cargo transport, timber, cars and container traffic along with Southampton and Felixstowe. The cruise docks are located within walking or a short taxi ride away from the town centre. A company operating from the port is Cruise & Maritime Voyages, offering itineraries to the Baltic, Norwegian Fjords and around the British Isles. 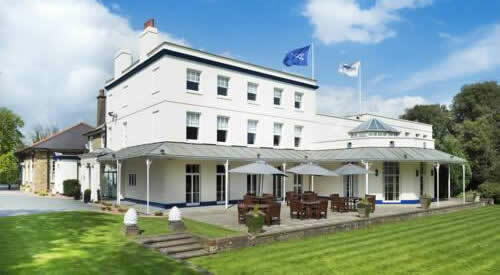 see also : Hotel Southampton Cruise Port, Dover Terminal Accommodation and Harwich International Port Hotel. Parking — long car parking for cruise passengers must be booked in advance. If you sail with Cruise & Maritime voyages, you should contact your tour operator or travel agent. Car parking have to be paid in advance. Leave the M25 at Junction 30 and follow the A13 eastbound (Tilbury and Southend). Take the A1089 (third exit) which is dual carriageway, to the ‘ASDA’ roundabout. Take the second exit off the roundabout towards the Port of Tilbury, continue past the Port of Tilbury Entrance, cross over the first mini roundabout and turn right at the second mini roundabout. The London Cruise Terminal will be seen immediately in front of you at this point. Immediately off the roundabout turn sharp left into the car park. Follow the A13 towards the M25 and leave at the A1089 exit and continue as above. If you sail with Cruise & Maritime voyages. On sailing days there is a special Cruise Coach Service between London Victoria and the London Cruise Terminal. Places must be booked and paid for in advance with your booking agent or tour operator. Nearby London is the largest city and the capital of the United Kingdom. It’s located on the River Thames and is the most populated city in Europe. London has a diverse range of people and culture, and has an ethnic diversity which is one of a kind in the world. There’s really something for everyone from world class museums, galleries and historic sights to the world’s best restaurants and clubs. London is also home to the country’s Parliament and is the residence of the British Monarchy. You can visit iconic historical landmarks such as the Tower Bridge, Westminster Abbey and the Big Ben. Admire the stunning views over the city from the London Eye, visit the sights of Soho, Trafalgar Square, Leicester Square, Buckingham Palace, Piccadilly Circus, Wembley Stadium, or the greenery of Hyde Park. The bustle of Oxford Street and Regent Street offer great shopping opportunities from luxury department stores and cutting-edge boutiques to discount outlet stores. The famous London Underground makes sure you can easily reach fashionable Notting Hill, the popular West End entertainment district with its theatres or the colourful Portobello Market. The tube is the oldest underground railway network in the world and an experience in itself. The station lies on the C2C main London Fenchurch Street to Shoeburyness line. From central London there is a regular train service from Fenchurch Street train station to Tilbury Town startion. The journey time is approximately 45 minutes. Cruise passengers coming by rail can use the free shuttle bus between the railway station and the Tilbury to Gravesend ferry terminal, which is immediately adjacent the Cruise Terminal. Alternatively you can take a taxi or if you prefer, you can walk to the Cruise Terminal from the Town Station in about 15 minutes. If you stay near the Tilbury cruise docks or right in central London, you are just a short ride away from the world’s busiest airport “Heathrow”, or from London Gatwick, Southend, Luton and Stansted airports.